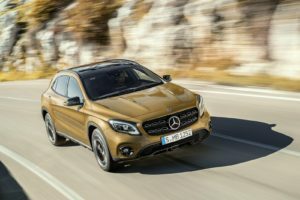 The new Mercedes-Benz GLA Class Hatchback is a good-looking, chunky, upmarket crossover that’s got a good turn of pace, comfortable seats and a generous amount of standard kit. If you’re not looking for a massively practical small SUV but just need enough space for some shopping, it’s well worth a test drive. 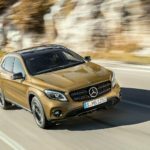 OSV takes a closer look at what it’s all about with our 2017 Mercedes-Benz GLA Class Hatchback review.